Are you just TOO good at playing marksman? Is your champion spacing artistic perfection? Maybe it's time you give everyone else a chance. Actually, maybe it's time you make them THINK you're giving them a chance. If you're looking for a fun non-meta ADC to test out, why don't you give Marksman Crittlesticks a try? Weighing in at an absolutely absurd 2.25 seconds of fear time, Crittlesticks has an 11 second cooldown spell with a longer duration than Amumu's ultimate. This allows him to drop in plenty of free hits, allowing him to come out on top of many otherwise unwinnable trades. If you manage to drop down the creep wave, Crittlesticks can easily get multiple bounces on a single enemy champion. His base stats on Dark Wind (E) are fairly high, which allows him to trade well, despite having no AD ratios. Late game, Crittlesticks might find his ultimate to be a bit lacking. 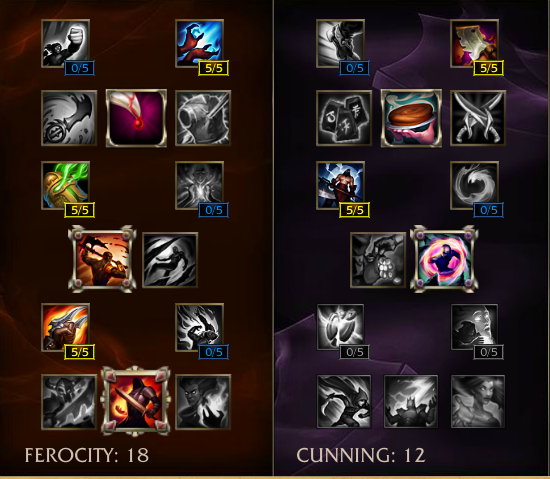 However, early on in mid-game, his ultimate is still absolutely devastating and clocks in at 625 damage at level 1. This combined with the fact that you've maxed your fear means that he can easily get a full duration onto a single target with ease. Despite his strong 1v1 abilities early to late game, Crittlesticks contains no true steroids, nor any attack damage ratios to speak of. This means that if he doesn't snowball early on, allies will soon start to wonder if maybe you're trolling. 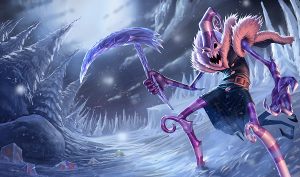 As a champion that relies primarily on his CC to take down enemy opponents, Crittlesticks as a marksman relies on his support to either deal excellent damage early game to burst enemies during the fear duration, or provide enough CC to keep them occupied. After his initial CC burst, he often loses trades if he continues to push on into a sustained battle. Crittlesticks is one of those old classics that worked great as a completely unexpected champion selection. With his awkward running animation and stringy-looking attack animations, watching enemies die to this scarecrow is always good for laughs. What do you think about Marksman Crittlesticks? Comment below!